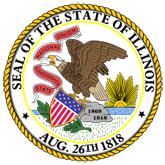 Press Release: The Illinois Department of Veterans Affairs (IDVA) today announced that two residents of the Quincy Veterans Home have been diagnosed with Legionnaires disease. 1. Two Cases of Legionnaires Disease Identified in Adams County (16-0552-IDVA_Legionnaires_Disease_.pdf).